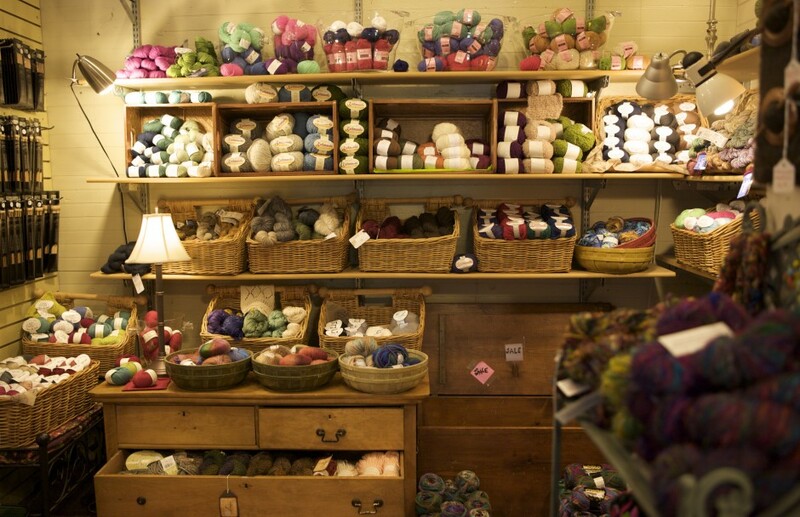 Visit Purl for an extravagant assortment of fine yarns distributed by (to name a few) Berroco, Noro, Tahki Stacy Charles, Debbie Bliss, Elsebeth Lavold, ArtYarns, Filatura di Crosa, Brown Sheep, and Classic Elite. We can also place special orders to support your next project. We feature bamboo knitting needles and accessories, a wide variety of notions, and all of the best knitting and crochet books and magazines. The knitter on the staff (Dale) helps beginners get started and provides refresher support for lapsed knitters. She is happy to help decipher a pattern, discuss a technique or a problem, or tell you what you already know – that it needs to be ripped out. She once advised a customer’s husband to bury a poorly-written, badly-charted, much-detested knitting project at sea. Contact us to schedule a consultation, a pep talk, or an intervention!